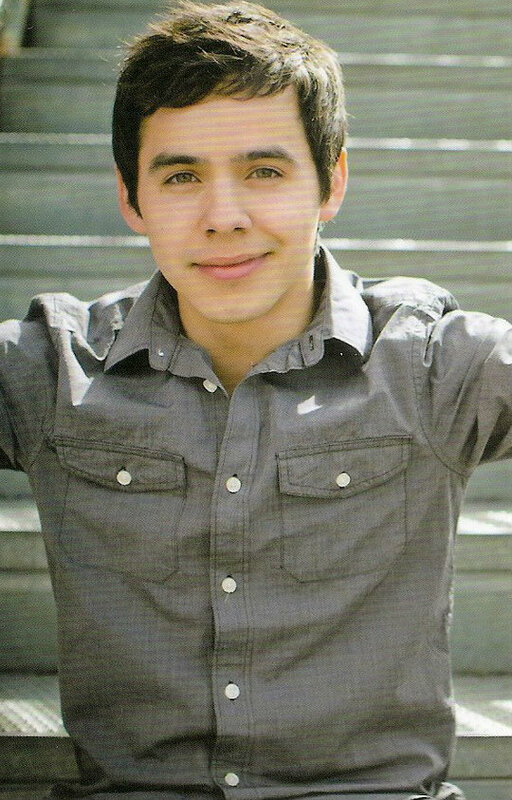 « David Archuleta ~ We Thank YOU!!!!! Since the trailer for “Nandito Ako” was released several days ago I’ve watched it more times that I care to admit. I’m mesmerized by the fast pace, the Tagalog language, the intriguing storyline and mostly by seeing David in his first serious acting role. Staff Writer Betsy, casually asked me what my favorite part of the trailer was. It wasn’t a difficult question but it’s hard to choose just one so I came up with a few. 1. The restaurant scene. Josh and Holly are sitting at a table and Josh tells Holly that she can speak in Filipino if she wants. Holly then asks Josh if he understands it. Josh makes a cute sound like “oh uh”. Holly, with a big smile, tells Josh that he is amazing. 2. Josh sings “Nandito Ako” outdoors with a few of the members of the cast around him. I can’t get this melodious song out of my head. 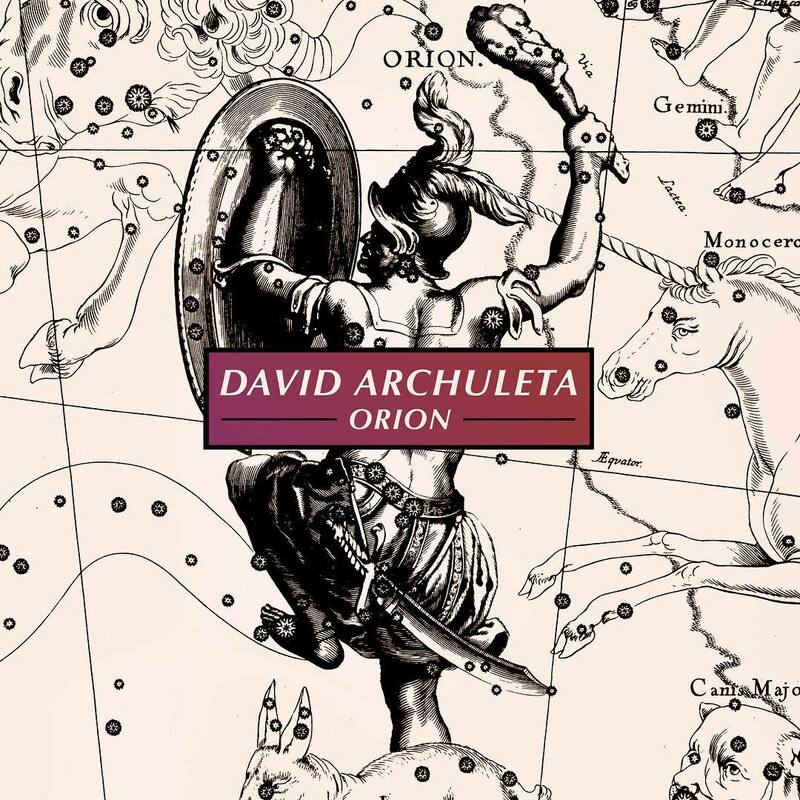 This entry was posted on Friday, February 10, 2012 at 2:51 AM	and is filed under David Archuleta, Nandito Ako. Tagged: Josh Bradley, miniseries, Nandito Ako. You can follow any responses to this entry through the RSS 2.0 feed. You can leave a response, or trackback from your own site. Bebe…love the lead picture and the collage has so much to check out. I think that everyone was taken by “the boy on the bus”…and so many more of course. There is a video of the interview on the website. It’s true, as a side project while in the Philippines, I’m recording an OPM album. Already almost done recording it actually haha. And for fans everywhere else, don’t worry there’s something for you coming too! Already working on the other projects! @bilaarchie OPM is Original Pilipino Music. They’re in English though so I still think everyone will like them haha. We’re finishing fast! He ate chicken rice! And prawn noodles! yummy! I wonder if he tried fish head curry. On a boat to see the merlion; visiting the Night Safari. OMG I live in Singapore but I have yet to do that. LOLOL. Singapore looks more beautiful with David in the picture. Vee..#4…that is absolutely priceless! Thank you! Looks like another power packed day of videos…gotta hit replay..
Wake up everyone Vee has a special surprise or two…In the advertisement, he is an ‘absolute pro’! Bebe I will have to think some about what my favorite scene is in the trailer.I will come back an comment. It is so full of treats! Djafan you made the perfect collage of the trailer. Great job! I want to get the “breaking news” posted before I forget. David tweeted mentioned something called OPM. I had not heard this before, so I went to his timeline. 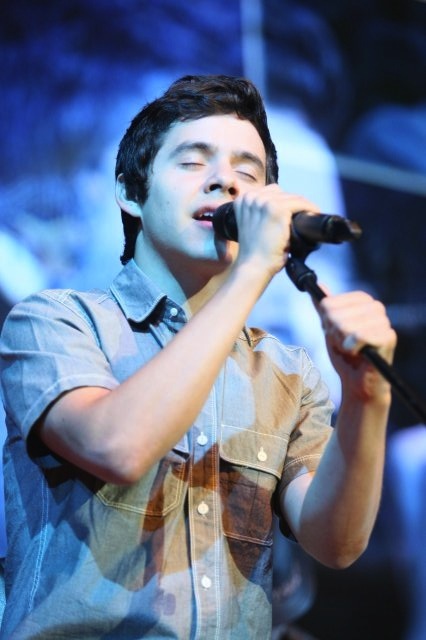 @DavidArchie It’s true, as a side project while in the Philippines, I’m recording an OPM album. Already almost done recording it actually haha. David did a phone commercial while in Asia. “Vangie” is the Pinoy equivalent of iPhone’s virtual assistant “Siri”. Vee posted the video in #4 haha while I was putting this post together. He is a busy guy! @mykapalaran Catch the #NanditoAko music video during #Valiente pilot episode on Monday, February 13 on TV5. They also have a Facebook link where they showed his presscon. Be sure to bookmark/favorite these links. If anything changes, I will post the proper link as soon as I can. They are kinda smexy voice, oops I meant morning voice! Back later if we have any more news. I wanted to get this posted before my day started. I put his vblog in moviemaker to slow him down for a scream cap of jumping jacks. He is just too fast!! I cannot pick a fave part. Not right now, I blame Vangie. #10 Abrra–LOL!!! I KNEW it! I always wanted a fairy godmother! Oh Bebe! I love picking out favorite parts of David things. A reason for scrutinizing a David event. There are just so many favorite things. my faves are also the restaurant scene (i always love david’s smiles and eula is also luminous.) i also love the punch scene, mostly because that’s DAVID! Throwing a convincing punch? WHAT?! And I love the bus scene because jasmine looks at David like most of us would, as if she can’t believe he’s real but she’s glad he is. My heart just melts with the ‘look” Jasmine gives David as he rests on the bus. Makes me want to give her a hug and tell her I understand. Completely. ……..the restaurant scene where we see a smiling David and am wondering where the conversation will take us. and last, but not least, the romantic scenes, where we get to see “the look” I may not survive those.or the 2 armed hugs. Wow!! So much wonderful news every morning!! My favorite parts are when David is singing!! Some pleasant surprises: David swinging that punch and the two arm hugs. Love David’s eye contact and tenderness. Love seeing his growth from the acting workshop to the finished project! David has grown in leaps and bounds with much more comfort with intimacy, interview, passion in his singing and Living life to the fullest. Now he meets an American actress Lucy Hale at a private party. They make a cute couple too!!! Woo Hoo! Soak it all in David and thanks for letting us live vicarously through you. ……..and added good feeling. Some of us Golden Archies found out that Primary Children’s Hospital was needing Valentine supplies and contributed in David’s name. Was able to get the message to David through Kari and got a cute response. All in the midst of these exciting times for him. He is a Gentle Giant of the Highest Order. “I Get Chills Just Thinking About It! And now news of New Music, a commercial etc etc. Woo! Hoo! Sky- I also like the punching scene. Actually I especially like all his physical action scenes. I would not be surprised to see David as an action hero type in future projects. I think I have watched this 19 times already. That would put a smile on my face just about any time of the day… but what a way to start your morning!! Not to mention the soul melting NA phrase at the end. Every commercial should end with DA’s voice singing a phrase. Erm… sorry! I just remembered that ‘serial listening’ to DA’s voice comes complete with it’s OWN set of side-effects. I think I will take “Floating on air, unexplainable happiness, small smile on face, and mild incoherence (yeah… I AM going with “mild”, this is after all MY commercial) are eminently preferable. Whose with me? Besides, as heart medication? This rocks. Glad everyone’s having so much fun choosing your favorite scenes! singing. Choose a nice song, ok? Not a lame one. You need to be outgoing. Then in the evening, you have recordings. Your performance needs to be boom! pak! to the next level! Understand? David: Vangie, I don’t understand a word you’re saying. Vangie: Oh, right, you speak English. Sorry. — switching to english-ing mode. Vangie: No, I’m a phone. Wow, you’re kidding me there brother. Give me a smile. Anyway, here’s your schedule for today. so, there seems to be rumors, floating about , that David is extending his stay in the Philippines? wonder if that is true? Wouldn’t blame him. He seems to be able to get a lot done there,recording new songs for the fans ,and he is already there..no time lost. I think David can do anything he puts his mind to ! He is going to go far in the business ! It seems like he just has a natural talent for every thing he does and i will miss him when he is gone on his mission !! God bless you David !! Just read that Joy Williams is pregnant,!! Congrats to her and Nate! #26 I’ve heard that too!! Sky! He has the concert the 11th and a signing scheduled for the 13th. I’ve also heard rumors of longer but nothing official yet. I think in some ways, since he is on a roll with recording and wants to record more it does make sense. Drive by – so David’s love interest in the Phillipine’s is Vangie! Who would have thought they would ever hear those words from him, “you’re a doll”….. made me smile. He is on a serious roll. When does he sleep. I cannot stop singing or humming Nandiiiiito♫♪ Akoooooo!♪♫ everywhere I go, no matter where I am, there it is playing over and over again in my head! It’s Betsy’s fault, no I take that back Betsy…., it is Davids fault! Somebody help meeeeeeeee! So some of my favorite parts of the trailor were the bunny suit and the I Love You part. I’m a sucker for romance, lol. Haven’t had a chance to browse today…too much going on! My favorite part is seeing David cup the faces of his leading ladies & gaze into their eyes~I’m a hopeless romantic..also love to hear him say “it’s like you’re heaven sent” GAH..nobody EVER said that to me! lol ~but I’m not sure which lucky girl he is expressing that to. Does anyone else know? This video is perfect for this post! 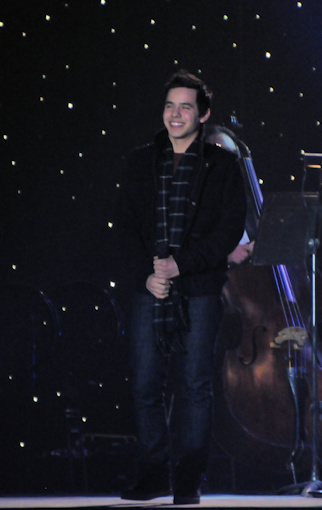 Ok so I met one of the most adorable people ever w/ the most incredible voice @davidarchie seriously…what a talent. OK ready for some cute overload?? Our friend embe86 wrote an article last summer for The Voice about being a new mommy. She has sent some pictures of her sweet baby girl Neela! Bebereader: For me it’s hard to say which parts from the Nandito Ako trailer are my favorite. Love them all! The picture you posted of David in between those 2 tall girls cracks me up! He looks so small and young. When he is with Eula or Jasmine he looks a lot taller and more mature. Can’t wait for Nandito Ako to come out and hoping like heck we can see it somehow! That is one ADORABLE baby!!! Love the pics of David and Lucy Hale…my kids watch her show Pretty Little Liars and my daughter was an extra in her move Cinderella Story that was filmed here last year! David looks great with Lucy Hale too!! Same age. They both glow. She tweeted how adorable he is and what a great talent he is! David is Living Life Like It’s Golden. woo Hoo! Much better than with the two really tall Miss Universe gals!! He is such a good sport though drinking his juice and squishing between them. Concert tonight for David. I guess it will be early morning tommorrow for us. Outdoor I hear! #37 — Abrra — wish they had used Theo’s version of Collide but that is the original artist, Howie Day. Nice video though. 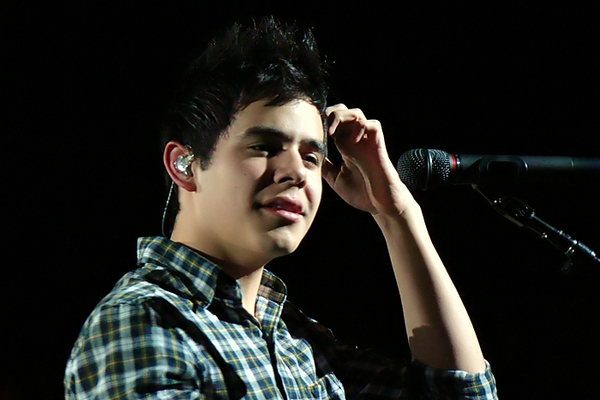 Goodness, we have so much wonderful and fun David stuff coming at us from Singapore and Manila. Almost impossible to keep up with all of it — such a nice problem to have! Oops! It sure fooled me. I will edit my comment. My favorite part(s) are David’s singing, acting, when he crawls out from under the bed, the bus scene, the fight on the beach, the concert, the flowery swing and the 2 armed hugs!! Oh, and those eye to eye looks! Guess that was pretty well the whole trailer, so I know I will really love the whole thing!♥ Praying that we get to see it..and in English!! SB, absolute pro is right! Two lousy sentences….but they sound so good! And Neela is a doll, look at those beautiful blue eyes! Go to Snowangelz and take the poll please? 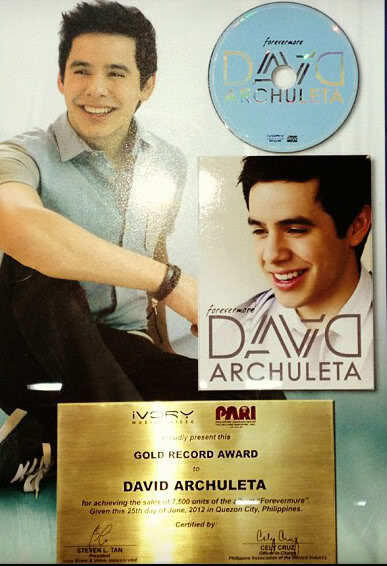 David Archuleta’s upcoming OPM CD: Will you buy it? A scene from the miniseries. Hmmm. Wonder what’s going on here. Thanks, SandyBeaches, for the find! Neela is adorable! What a cutie with her blue eyes and heart-shaped lips. Congratulations on your bundle of joy! bebe, good question – that smile. Congrats Embe. What a bundle of Joy. Hope all is going well. Stop by and comment from time to time. Was this the one your were wanting, Betsy? Or was it another? Just saw this, so I am sharing..
34. Bebe. lol nothing seems to work. I give up! Its like Contigo all over again for me. Lucy Hale sure is a pretty young woman. Notice Davids body language(the folded arms) when hes talking to her. He is so funny. Never know how he is going to act/react… but he’s looking right at her, and smiling.lucky her! Bluesky, YES!! Thanks so much. This was the performance! The other video of the same thing was taken down and is still down. So seemingly effortless, so beautiful. This song will do me in. In a good way. It's funny, I haven't watched any videos of it for 2 days, or listened to the mp3, but It's still been playing nonstop in my head. Bluesky#53 Thank you! Still stuck in the NA vortex and there’s no chance of getting out any time soon. He’s so calculating isn’t he? He starts the song off slowly and gently….then whams us with the “Whooooah” towards the end. That gray pinstripe looks gorgeous on him along with those black laced up boots. And then he seals the deal with that killer smile at the end….what more can I say?. Sky#54 I think I’m deeper into NA than I was con Contigo pero es possible. The next event, the Pyropalooza starts at 7pm PHT. That’s 8am EST and a little over four hours from now. The “punch” is indeed awesome,, but the headless bunny makes me laugh everytime; that look on his face. I just guess,, every bunny loves some bunny sometime! oooooo sorry, that was bad,,,,, and they call it bunny love,,,,,,, please,,,, some bunny stop me! I “hop” everybunny has a great weekend! Favorite part of the trailer? Hmm…The bus scene? The fight? The face(s) in his hands? My daughter felt really sad for Josh crying in the cemetery. I can’t wait to watch the whole thing! I am so loving all of this. I have a thought or two re the interviews, but as always (mad face), I don’t have much time! Good night! I put the error message in Google search. It seems to be a common issue relating to external devices with respect to UBS connection. Short answer is to put what you want to transfer into a new folder and not try to drag them directly from mediaplayer ( I wouldn’t even consider doing it this way). You can create a new folder on your desktop and name it whatever you like and when you download the mp3’s, have them go there. Then when you want to copy them to a CD or a device, pick up the files from your new folder. When I make mp3’s I send them directly to my desktop. Then I drag them to my iTunes library. When I have all my copies in itunes, I put the mp3’s into Music in an appropriate folder. If none of this changes your situation, I suggest asking a more tech savvy person( high school kids know this stuff) to search Google with the error message. I bet they can figure it out. The cell service is not too good. Patience is a virtue. @lorms tweeted a link for UStream of David’s appearance at Pyropalooza. I also saw that he is going on stage last. You probably will see a black screen until David is on stage. She is trying to save her phone battery. Use Google Chrome browser if you have problems with seeing the video. TONS of pictures of fans getting their CD signed last weekend in Singapore. RT @allan_d Ben Chan just told me that @DavidArchie is now part of the @benchtm family! He will be launched as a celeb endorser next week!! It’s a collage of .gif’s. Click the link to go there. Thank you to all those who are the eyes, ears, and voices for allowing us to share in this amazing journey with David! Bebe! Oh, so many great scenes but like Abrra, totally drawn to when he delivers that intense emotion filled stare as in 4:04, 5:29 & 5:41… such dramatic expression is one that I don’t believe I’ve ever seen him show in public before and creates such an intense reaction for me … seriously believable and so gut wrenching! Do we know if we’ll be able to see it on TV5 livestream & if so, how & what time? I believe in preparing way in advance, lol! Dja! Beautiful job on your collage … couldn’t have been easy to narrow down as so many memorable screencaps to capture! Fenfen! So glad you got to see David … hope your heart is filled with wonderful memories of that experience! Vee; #4 … Love that Vangie commercial … though it sounds like she’s on a bit of a caffeine high, hehe! Emmegirl; #31 … “He is on a serious roll. When does he sleep?” Despite the intense pace, it’s amazing how he does it all … praying that he’s getting enough rest and private time to recoup. Sleep deprivation would turn me into something that would have fairy godmother banning me for good, lol. Sky; #32 … “I cannot stop singing or humming Nandiiiiito♫♪ Akoooo! …” Ditto! Even got the hand gestures and knee thrusts down too… though sure hope no one catches me doing that, haha! Abrra; #39 … Oh, Embe! Neela is so precious … just look at that smile! PattiNC; #41 … That’s cool that your daughter got to be in a movie! MyDearDavid! You are truly Mr. Incredible! A lifetime of heartfelt thank you’s seems not enough to let you know much we appreciate all that you have done and are doing for us!!!!!! Thanks Abrra for the pics. whoa! jumping jacks ftw! haha that is more in line with the pace he has been keeping ,since he arrived in Manilla! ok, gonna check out David and Vangie now. Oh Skydancer,, that was so bunny! I clearly think the bunny is best,,, but, David would want everybunny to “suit” themselves,,,,,, I need to go,,, away,,,,,,. Don’t you want somebunny to Love, Don’t you need somebunny to Love,,,,,,, Oh oh, I hear my mother calling me! 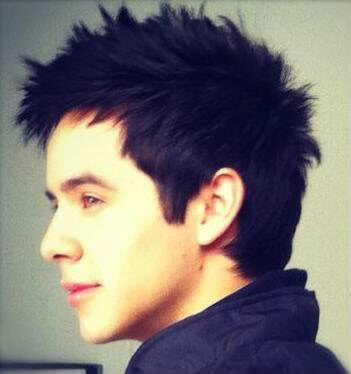 Astroplus Is David Archuleta your Valentine? ♥ Don’t miss this opportunity to get close to David before he finally leaves for his mission commitment! PLEASE READ: You will be given album inlays as you pay for your albums. Make sure to keep both of your inlays and receipts to be able to claim your physical albums in March 2012! Can you post a link to that info please? Thx! bebe, ” I think I’m deeper into NA than I was con Contigo pero es possible.”…..yeeeesssss. Don’t know about Betsy though….I think she’s on the fence. The arrangements by Jay Durias for David’s versions of Nandito Ako and Wherever You Are are so incredibly beautiful and just perfect for David’s voice and style. PattiNC, wow, great news if it’s true. It’s about time! Woooooooooooot – March album! The title IS perfect Betsy. Gayle, I found myself awake at 4:00 this morning thinking the same thing. He is living his life to the fullest. He packs in every single thing that he can, takes on and conquers challenge after challenge – all with grace and style and class. I will leave for now. The story is true enough, it just nice to have the link to look at the source. Just pack me off to crazytown now. Bebe, My favorite is ….. all of it hahahahaha I soon as I spazz during one scene I’m on to spazzing about another. Sorry I’ve been MIA. Work has me burning the midnight oil and have to work today toooooo arrrghhasokho. NA Fantastic…again..eyes seems to be more sparkling…was there some tearing there? Can’t really tell with the shaky video. Love his red, white and blue!♥ Ooh La La!!! Love the nautical look and it’s exactly what I’d buy for myself!! Wherever You Are…Love it♥ Another beauty…but hope to hear a clearer version some day. Well, I hope whatever/whoever possessed David during that rendition of WYA makes nice so he let’s it stay for awhile–that was a barn-burner of a performance! In fact, I think WYA just booted out Gesu Bambino from the top spot on my favorites list. I love it when he teams up with a fine musician like Jay Durias. So we will get a whole CD of heartfelt, emotional love songs like this? For me, OPM will be an acronym for opium. I’ll have to listen to the CD multiple times a day to get my fix-LOL! Bury me now-HAHAHAHA! Back to the WYA vortex! I put this in the Candy Jar. I will change it out when a better audio comes along. Your Candy Jar is a mannah from heaven, don’t know how i’ll do without it. Thanks from the bottom of my heart. A quick thank you, Abrra! Wow…more from the Energizer Bunny! I LOVE THAT WYA! HA! 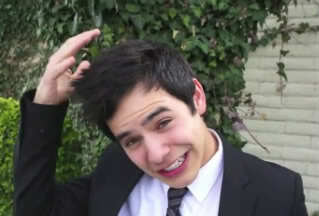 I am laughing now, but seriously… David ,do you even know what you are doing to us!? 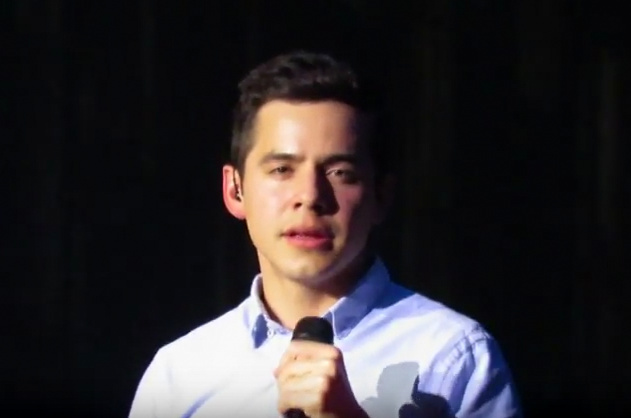 I was not prepared for this…got me slobbering all over myself..they don’t even make a bib big enough for these songs David, I am going to have to go from a towel to a sheet if you keep being more and more amazing everyday. I cannot even believe how incredible…it’s crazy! I don’t think I took a breath the whole time he was singing! and that “run” is so amazing. David needs to release this as a single…like yesterday! oh how I wish he would. its such a beautiful song and that voice of his just soars.GAHHHHH! 39. Awww Congratulations, Embe! Neela is so absolutely adorable! I think Nandito Ako and Wherever You Are are going to be fighting over which one will be stuck in my head now. LOL Gahhh .. they are both so gorgeous. I posted the same video of wherever you are . Oh my, Whitney Houston has passed. God rest her soul. Oh my! World news just broke through regular programming to say that Whitney Houston is dead. Terrible. Such a wonderful voice she had. RIP Whitney. 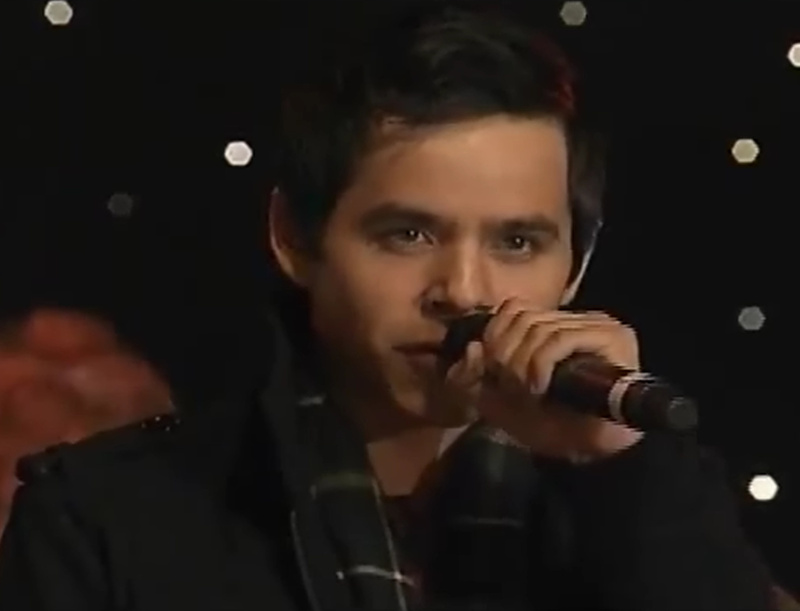 Thanks to Ascphil, for her lovely close-up video of both “Nandito Ako” and “Wherever You Are”. Ascphil wrote a beautiful description on youtube that I wanted to share with all. 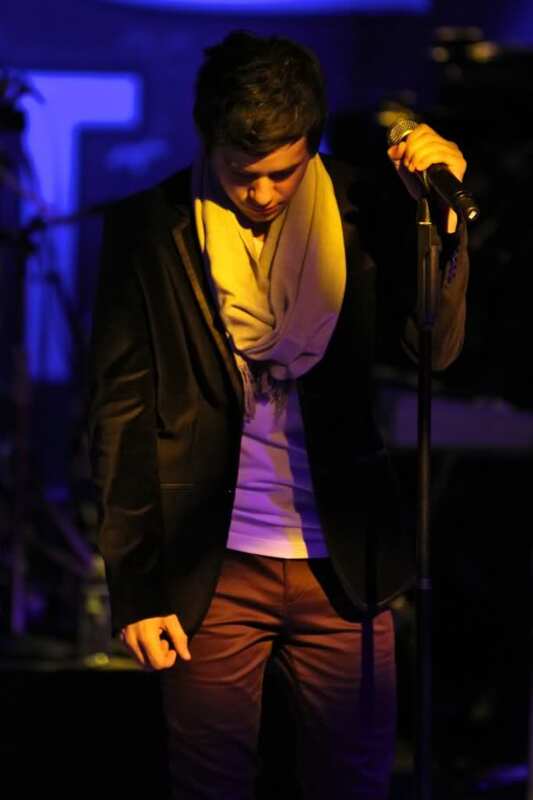 “David Archuleta performed these songs back-to-back with Jay Durias on keyboards at the Mall of Asia c/o Close Up’s Pyropalooza event in conjunction with the 3rd Pyromusical Competition on February 11, 2012. They were the show’s finale and much-awaited highlight of the evening, drawing the loudest cheers and applause from the audience. Thank you so much for sharing your love and time. It is wonderful to be able to hear a see across the waves to you over there. Blessings and joy to you. 97.Betsy, I agree with everything you said about WYA. It is absolutely beautiful. 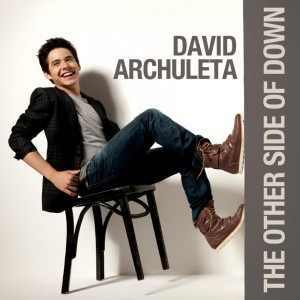 I wish David would release it as his new single here.This is a song that was tailor made for David’s voice. I am in love with it.that spiraling run in this song oh my gosh best part… brings me to my knees. Thanks JR for the beautiful videos♥ can’t even tell you how grateful we are for all you have shared. Thanks Lani! And to your son for filming! And thanks also to everyone else who shares and to Abrra and all of the admins and posters for all you’ve given us. I can’t thank you all enough. Lani, saw you in the green shirt :). Thank your son for the videos, great audio! What an incredible feeling being in that sea of people, listening to that voice and watching him on stage. Your niece, bless her heart – we’ve all been there, lol! The SBL #80 has an amazing 360 degree view of the sea of people. You can hear the strain in his voice in SBL. You know he is so happy and excited and pumped from all the events of the last month, but he has to be physically and emotionally exhausted… travel, starring in a mini-series, promos, interviews galore, photo shoots, private parties, shooting ads, performance after performance, recordings… just the experience itself and the emotions that go along with it, and being pulled in a million different directions we’re not even aware of…. not to mention preparations and emotions involved with his leaving…. I honestly do not know how he does it, youth can only take you so far, lol. He is amazing. 104. Lani’s video of WYA. Oh my … I have watched 6:31-6:50 so many times this morning. He gets so physically into that part. Something about it is fascinating me and holding me captive. It’s both amazing and inspiring how David keeps the pace he does. I’m reminded of earlier times in my own life when 90 hour work weeks happened more often than I care to say! I can’t help but find David my motivator. It’s not like I try to keep up with him,(not possible!) It’s just that by his own actions, never boastful, he inspires me to learn more and stay healthy. 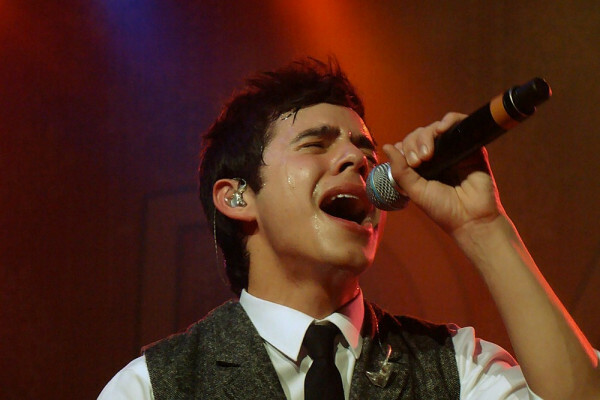 It could be that I want to be around for as long as he is singing! Any way you look at it, I believe I am getting better just “knowing” this outstanding young man! These past few weeks we’ve witnessed a confident, vocal genius at his ever best. He’s pushed himself to accomplish things he and we didn’t think he was ready for. I’m more proud than ever to be on this journey. Thank you JR, Abrra, and all those who share videos and David stories. You all make this journey such a pleasure! 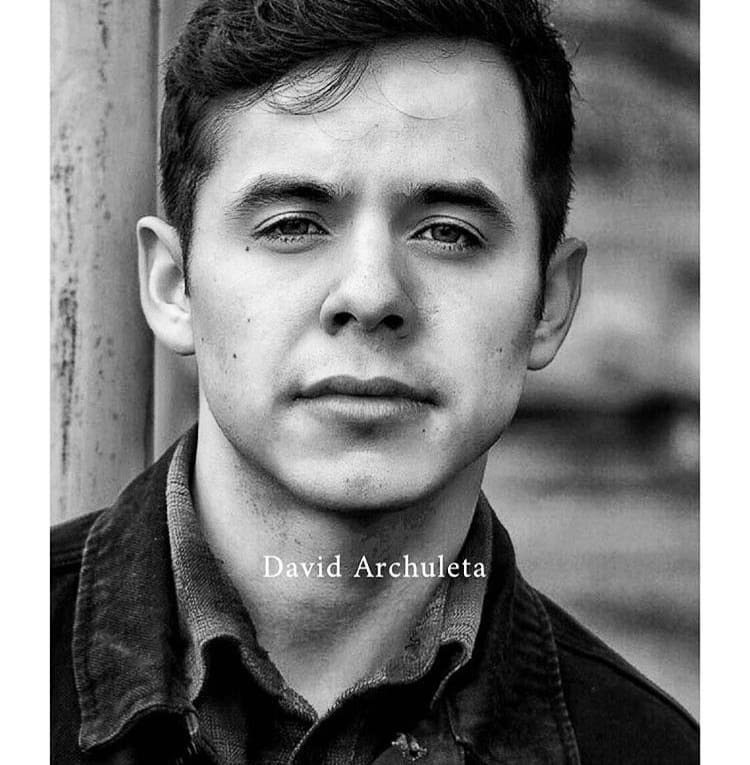 For those that have been wanting an opportunity to write something to David, there is an opportunity to sign a valentine Group card posted on http://fansofdavid.com today. They will deliver it to David for Valentines’ Day. I think there is also one available for Kari. Ok, can Jay Durias and David just travel the world together making beautiful music together? Sorry guys, I just got home from work and can’t stop listening to Wherever you Are. Again. Betsy, Jay Durias is the musical director and keyboardist of the group Southborder. He also composes for the group. He is really good. He composed “Rainbow” which he said is also included in David’s OPM album. Wherever You Are was composed by Vince Alaras and music arranged by Jay Durias. I know the the group disbanded already but their songs were really popular back in 1997 til 2002. It is confirmed that David’s album is titled “Forever More”. This is another very beautiful song by Side A band and very popular here. The band Side A is really famous even up to now. If all those songs (that peeps are saying on tweeter) are really gonna be on David’s album, that album is MADE. He is working with the most talented musicians here who had or have the top charting hits and songs popular even among the “upper class”. 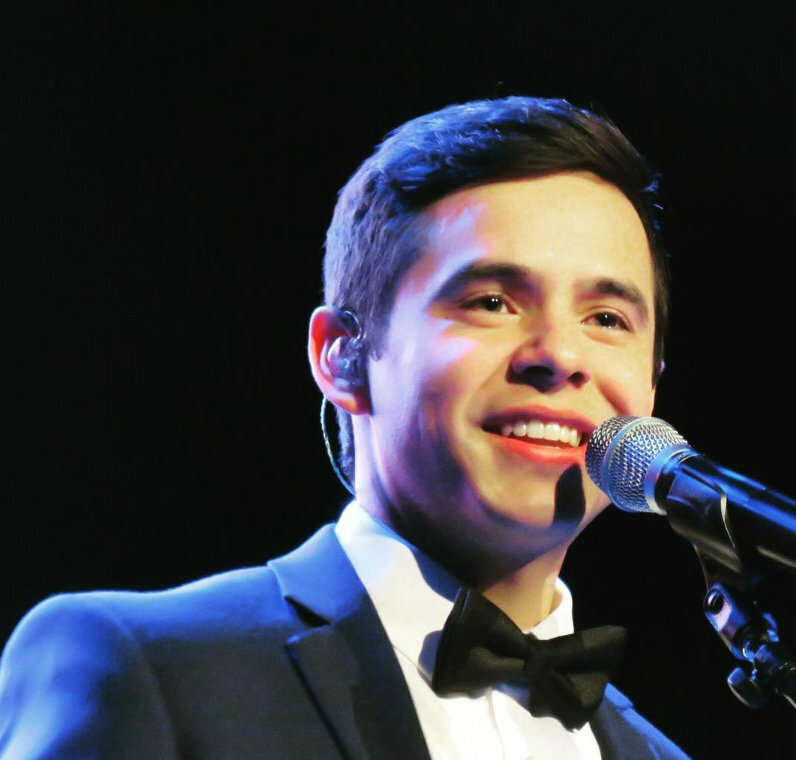 Oh my, imagine David singing ‘Forevermore’ — it will be so breathtakingly beautiful. Oh we really have to be able to buy this CD — another treasure. Lani, #114—oh my goodnees—what an absolutely beautiful, romantic, gorgeous song Forevermore is. Why has the whole world not heard this—–I think I will start listening to more of the popular music of the Philippines from now on. While following David’s journey I have become familiar with songs and artists I never even known existed. Thank you for sharing this song—-and for opening my little world to new and exciting things. The thought of David singing this song…..yikes, I’m just a tad bit excited…..
Lani, Forevermore is so beautiful – that will be the album title? I like it, something all his fans can connect with. Do you know if all the songs are covers? Rainbow, I think this song would be great for his “swan song”, so to speak, I love it. Jay’s arrangements are just amazing. Betsy 113 – back at ya! 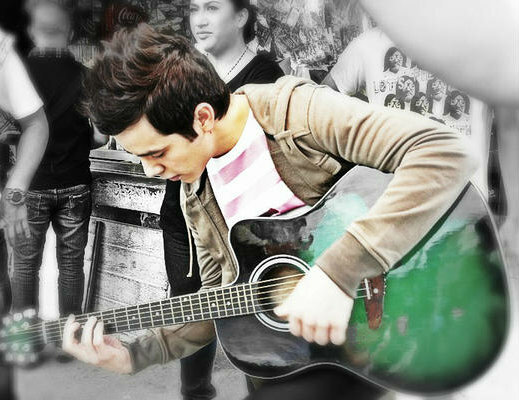 And I LOVE the scene where he’s outside singing NA, wearing a blue tee. Ok, what’s up with the couple sitting at the kitchen table eating like pigs, lol. We haven’t discussed this yet. But I laugh EVERY time. “I just don’t want it to end.” << Me either. Luckily there is lots more coming for us to enjoy! Awesome pictures of David performing at Pyropalooza. I can’t wait to hear David sing Rainbow. It will be glorious. Thank you for all the wonderful videos. My favourite part of the trailer – the shots of him crying. I wonder if he did that on demand or used glycerine to induce tears. I’m done with work for the weekend!!! I had a long comment all typed up and the dang computer froze and I lost it!!!!! 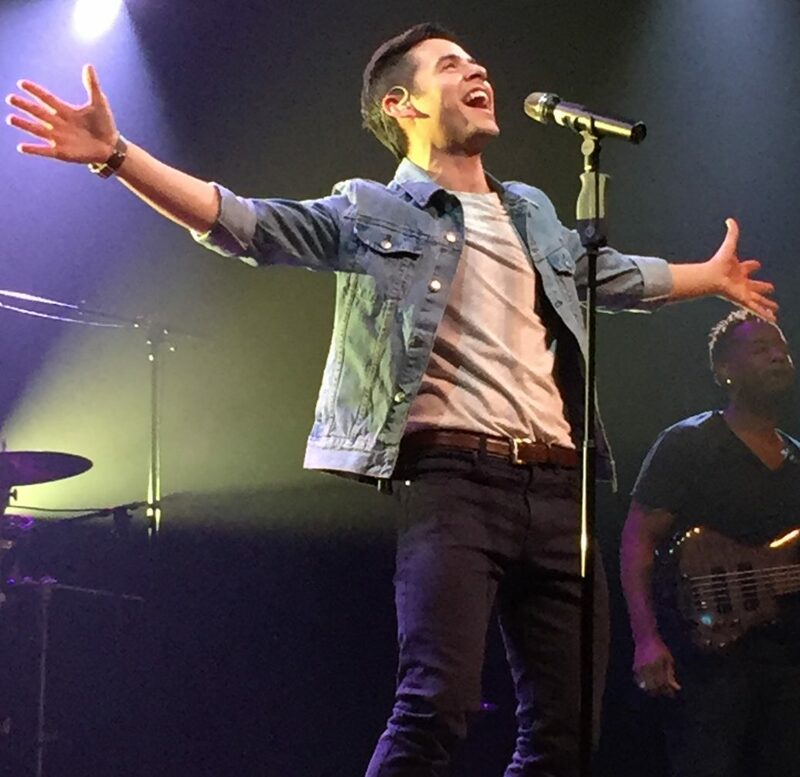 So much greatness from the master David Archuleta!! Lani love your sons videos. You can see David sauntering across the stage owning it. love that strut. JR, Naree and Lorms you to are a magnificent trio. Thank you so much for all the Davidness! Fenfan, Rainbow is beautiful song. I’m so glad that David is making the time to leave mana for us! It seems like it may be easier to do projects over there. Here when he was he was putting MKOCT together for us, the fans “they” were actually trying to stop him!!! I just don’t get it. Just checking out your website for the first time, and I’m really liking your setup here. LOVE all the goodies on the side-bar, it’s like a one-stop shop for all things David and I don’t have to go digging for information. We are happy you found us! Come back and comment often? David at the CD inlay signing! @showbizjeff Meet and greet w david archuleta, big success sa sm megamall! JR added subtitles to this recap Thanks JR! “@BCbench Guess who’s the next @benchtm endorser ? ? so what is this bench brand like? does anyone know? that windcheater he’s wearing looks like a cheap plastic kid’s top. Thanks Abrra, I plan to comment often! 😀 Any news on the music video for NA? Wasn’t that supposed to be coming out soon? It’s on TV5 site I believe. Sorry I can link right now, I am at wofk. It was linked all over twitter so I bet you can find it. Fenfan, Bench (owned by Ben Chua, hence the name) is a very popular Filipino clothing brand. The company is known for putting up huge billboards of their models along highways and major roads in Metropolitan Manila. And they pay big bucks to get popular local and foreign artists as models/endorsers of the brand the likes of Bruno Mars, one of that Pussycat Dolls, that Vampire series guy (don’t know the names) and just recently Lucy Hale of Pretty Little Liars. Bench endorsement here means huge billboards, lifesize window posters in hundreds of Bench stores inside the malls, magazine spreads and sometimes TV commercials. Haha, Abrra, dang real life getting in the way, right? I am SO sleep-deprived right now, just trying to keep up with it all! Love the video. David’s voice in the video is BREATHTAKINGLY BEAUTIFUL!!!!! That VOICE!!!!!! The song, the singer♥ and the new trailer, is all kinds of wonderful. just eeeeek! I am melting already. Thanks for the info Lani. The NA video – OMG what a voice! He is breathtaking! So we still don’t know who he ends up with. I bet it’s neither. What a playaaah!! I think he goes back to mommy. By the way, I love the new line of bench clothes David has been wearing, even the windbreaker! Hey guys! Thank you so much for the lovely comments – Neela is very grateful 🙂 ❤ She has my mouth, cheeks and eyebrows – her eyes are a mixture of mine and Pete's – and she definitely has her dad's little nose. My favorite part in the trailer must be the bit where David punches that guy. It looks so realistic, and like it's "natural" for David to do that, even though he probably hasn't killed a fly in his life. very clear video of the trailer…. David is the healthiest habit in town! And how is Motherhood treating you? I like the clothes too, Bebe.they look really “David”to me. Joujou, welcome and hello! ” He’s a hard habit to break, been trying since 2008! ” I don’t even think that would be possible, he is way too addictive! why do I believe that..that he probably hasn’t killed a fly? Remember the vlog…. with the bug/bee,he kept swatting it away? I would have wopped that thing.haha! I know this was a gift to all the wonderful and amazing amazing Filipino fans, but I really hope it will be available to order, for all David fans. I hope David knows ANYTHING he records, fans back home and worldwide, would like to purchase! Embe, Neela is just precious! Punching scene and emo bunny for the win! I don’t care anymore if I ever get subtitles to this thing; I just want Tofan to screencap all the episodes and make up a story over the next two years-LOL! Welcome to The Voice Joujou! David does look like a natural slugger. A launch party and hair products? About time! 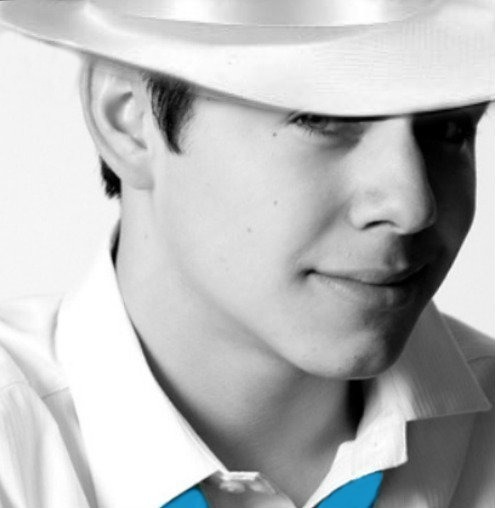 @glamchicannie We have a launch for @DavidArchie this fri. Pls follow @BCbench n @benchtm for details. Who has eyes like these? #145 Second photo – David’s left hand. That upper deepest line has to be David’s heart!! From Wiki on “Palmistry” and the significance of the right and left hand. just ….. nevermind,I think I have gone over the edge….soooooooo, on to the hand… is there an expert in da’ house? Sky, the first time a met David that is what his eyes looked like. Sunburst of pale green with clear crystal like bursts. Hypnotic. I’m hanging on the ledge lol. The official music video for Nandito Ako is here! 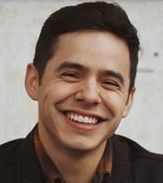 I know we’ve seen footage of the Philippines mini-series that stars David Archuleta in his acting debut, but this is just NOT GETTING OLD! In the new video we have: David dressed in a Bunny suit falling in the street, David praying at his mother’s grave (but…she’e not really dead! ), David punching some dude out (David gets hit in the head with an oar in return), David in a love scene. Seriously? This is solid GOLD stuff. I have GOT TO get my hands on a copy of this mini-series when it’s released. I don’t even care about sub-titles. Who needs them when there is so much awesome on the screen. Oh yes, sky, i can see those sunflowers alright…..OMJ..there’s too much sunshine in his eyes that sunflowers can grow in them…LOL..been staring at those eyes for so long, think I’m losing my mind too…. Okay. That was all I needed to complete the overdose: DA getting a Hair Product sponsor. All I have to say is: THAT HAIR!!!!!!!!!!!!!!!!!!!!!!!!!!!!!! Off the forehead, fuller on top and the sides. (What? You think I have time to notice these things?) Exibit 143: A, B, C, & D. The hair fairy godmothers are at it again. On a side note: I wonder if the whole “look” they were going for for the mini-series was to change his appearance enough that we would see him as JB. Not a whole lot one can do in a weeks time to make him look like someone other than who he is. I will have to forgive them. But these “FIX” people are going to fix me good. Oh and djafan, thanks for killing me with that amazing HUGE pic of his eyes. OMJ!!! How are we gonna survive the series? Happy Valentine’s Day from David! Tawna…it’s back! It went from one account to another. David must’ve moved it. dja 155 – you don’t play fair. Am I the only one who is crazy about the #130 photoshoot pic – You can’t see his eyes, but. He looks wiped out in VDay video. Sleep well David. bluesky 161, ROFL! Swept up off his forehead, my favorite look on him…muy handsome! Lani, thanks for the “clearer” trailer – it muddied my brain even more, haha. joujou, good luck with that sleep thing – he tends to show up there too. TONS of screencap-worthy moments here folks! Don’t blame me if you don’t get anything done at home or at work. 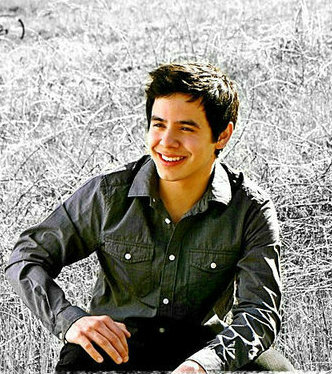 Blame it on that “David better-looking-than-edward-cullen Archuleta”, ok? ps: when we saw him at the airport coming back from SG, his eyes were black – totally. Another “edward-cullen” thingy going on there…. Boy what a time this is. “I’m just going to leave a few things for my fans.” If this pace keeps up it just may take two years to recover. That also would explain why he doesn’t need any sleep. 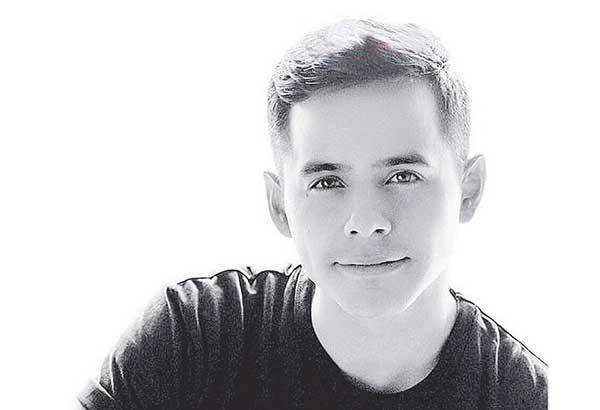 It was not the fireworks show but American Idol sensation David Archuleta who became the main attraction at the Pyropalooza kick-off last Saturday, February 11, at the Mall of Asia Music Hall. Before the show, PEP.ph (Philippine Entertainment Portal) had a one-on-one interview with the American Idol Season 7 finalist and Nandito Ako star. David is scheduled to leave the country after this week, shortly before the airing of his short drama series on TV5, Nandito Ako on February 20. What does the 21-year-old singer plan to do in the meantime, espcially on Valentine’s day? 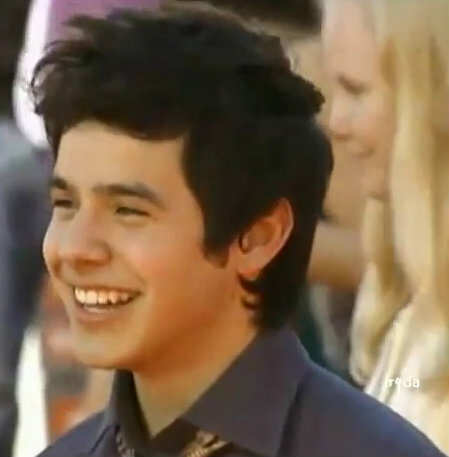 “I think we have a photo shoot that we have to do,” was David’s short reply when asked what he will be doing on V-day. NEW ALBUM. In a few months, David will be on hiatus from his singing career for two years. He will be going on a mission for their church, the Church of Jesus Christ of Latter-day Saints. But in the meantime, he will be recording an album once he gets back to the States. What do his music fans expect from this album? “The album I think it will be mostly… I don’t know if it will be original music because I take a long time to write and work on original music. “So I think what I’m gonna do is kind of like… we’re doing the OPM album right now while we’re here this week and it’s just emotional songs that people know and connect to. David is not discounting the possibility of making original songs if his time would permit it. He added, “But also, some other projects as well that are original music. HIS MISSION. David is not disclosing where he will be carrying out his mission anytime soon. “I’m just going to one place. I’m not saying yet. “I’m trying to keep it just low-key so we can be focused on the right things. “Just to be courteous of the work I want to focus on… also to the people I want to try and focus on, as well. But isn’t he worried that being famous will distract him from the real purpose of his mission? “I think it will be a little distracting but you know, usually I think they try to be very conscious of the place they chose… to make sure that it was somewhere that was quiet, in a way, calm, but still somewhere that is safe. “But, usually… even in countries where a lot of people know who I am… like if I go the Philippines or to Honduras where people easily recognize me, when I go out of the city to like, the province area, people don’t really bother you. ACTING STINT. When he first heard about the acting project being offered to him by TV5, David was not so confident he could do it. “It wasn’t easy for me to get used to but I definitely… I think I improved a lot from the first day. After his acting experience in the Philippines, would it be Hollywood next? “Yeah, maybe, you’ll never know. It just depends on what type of opportunity comes. “I usually go by whatever opportunity comes. That’s how this came about. It’s just the opportunity we needed. “Even though at first I was like, ‘What? No way! Why would I do something like that?’—it ended up being a great decision… very beneficial to my life. #178 Thanks for the translation vid Joujou. You are right, didn’t need the visuals to know what pictures go with the words! I have them all in my head! rofl. This thing is epic. I am loving everything about it. Cheese FTW!